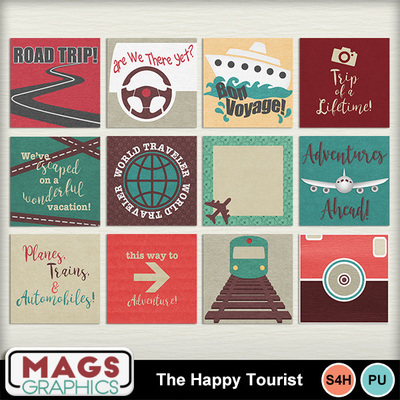 By plane, by train, by automobile... however you travel, this huge collection will help you scrap all of your adventures! This is the JOURNAL CARDS Pack. It contains 12 3"x3" Journal Cards to use in your layouts.